We had our first BAEA workshop to welcome back art teacher friends to the new school year. It was so much fun! 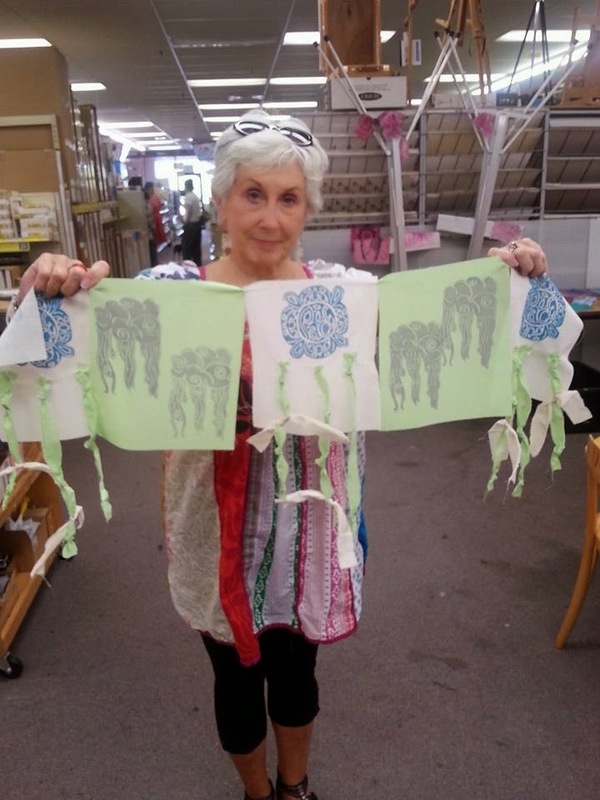 We met at Forstall Art Center in Homewood last Thursday. We talked about the message of love and compassion that the Dalai Lama shares as he travels the world speaking about human rights issues. 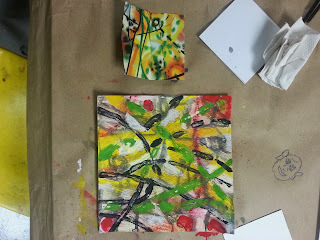 We had 15 people in attendance...everyone from familiar art teachers to new art teachers as well as friends and family! Everyone dove in and created some prayer flags to send in to the happy flag project. 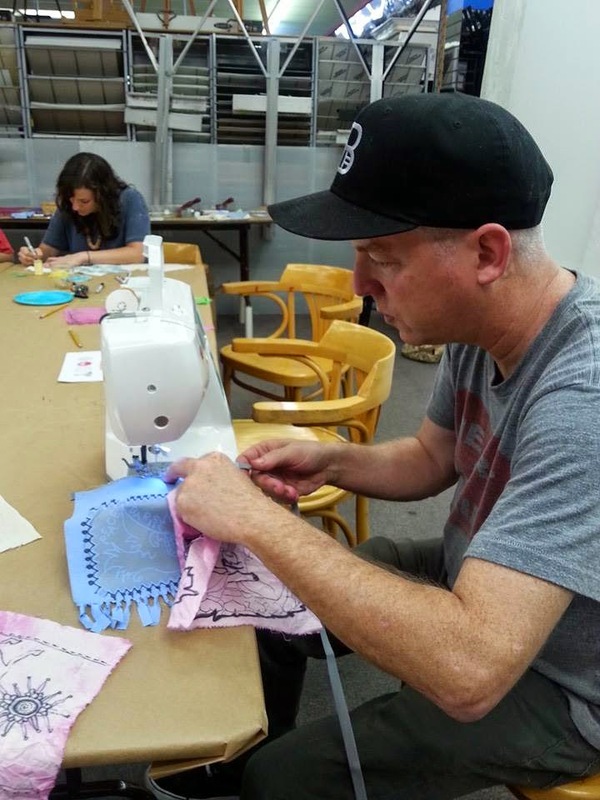 The happy flag project is collecting decorated fabric squares and turning them into "happy flags" similar to Tibetan Buddhist prayer flags. Then, they plan to install them across Birmingham's many important Civil Rights historical sites as well as Regions Field (where the Dalai Lama will be speaking) in October to welcome the Dalai Lama to our city. Susan adding some sewing embellishments to her printed flag. Doug stitched the flags together. This message was sent to us from Chris Screws at PVHS. They need your help! Please pass this along! I need your social media help. Our brand new Visual FX course at PVHS is exciting, innovative and incredibly expensive! I have been approved for one of several DonorsChoose.org projects to help purchase some of the more pricey items. Will you share the project link on Facebook, Twitter, email or any other digital means you use? BAEA Silent Auction...Friday March 7th! Art Classroom Management Workshop TOMORROW!!! Attention: Art Teachers of Alabama! On February 4th we will be presenting a workshop designed to strengthen our skills in the area of classroom management and discipline. All art teachers are invited to come and participate, whether you have questions or would like to offer your words of wisdom! Let us end the sense of isolation so many of us experience! Come and share! We will be looking at the resources on the blog and talking about how this can help us and where we want it to go! For more information, please email Mrs. Anna Nichols at anichols@jefcoed.com. dreamArchitecture is a community outreach project sponsored by the Birmingham Chapter of the American Institute of Architects. Open to elementary school children in the Birmingham area, the competition stimulates children to think about their built environment. What a wonderful workshop! 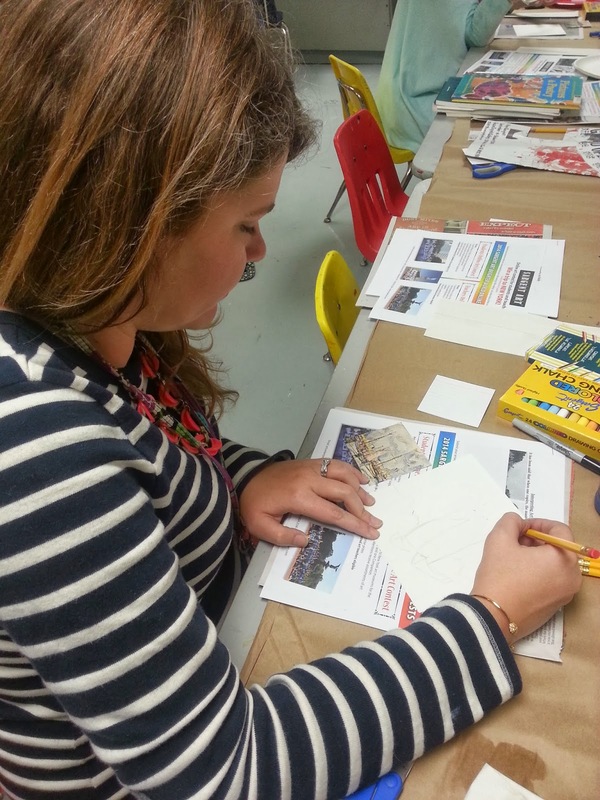 Sargent Art sponsored our most recent BAEA workshop. It was facilitated by BAEA's own Casey Williamson. The lesson we did was called "Interpreting Art Media," and it was a great lesson for our BAEA art teacher group because it really is adaptable for all grade levels (elementary, middle school, and secondary). 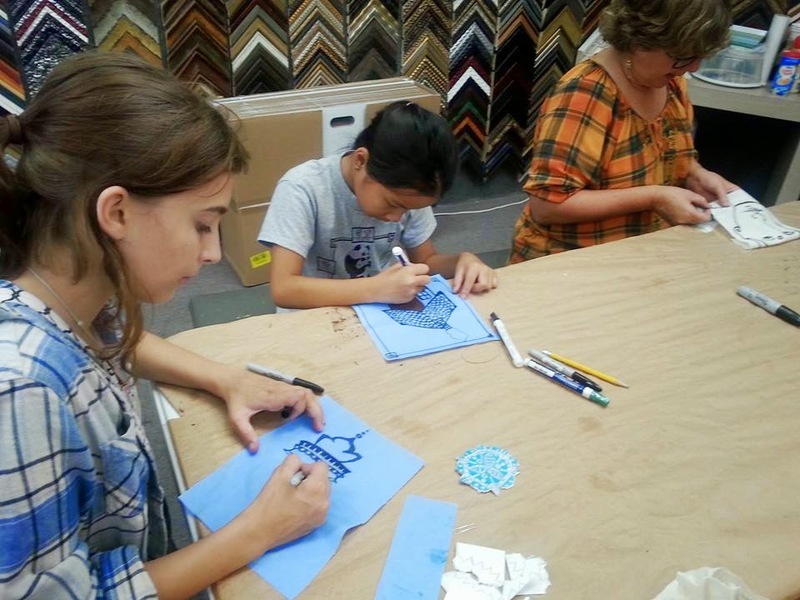 We hosted this workshop at the Birmingham Museum of Art last Thursday from 4:30-6:30 in conjunction with the BMA's monthly first Thursday event. 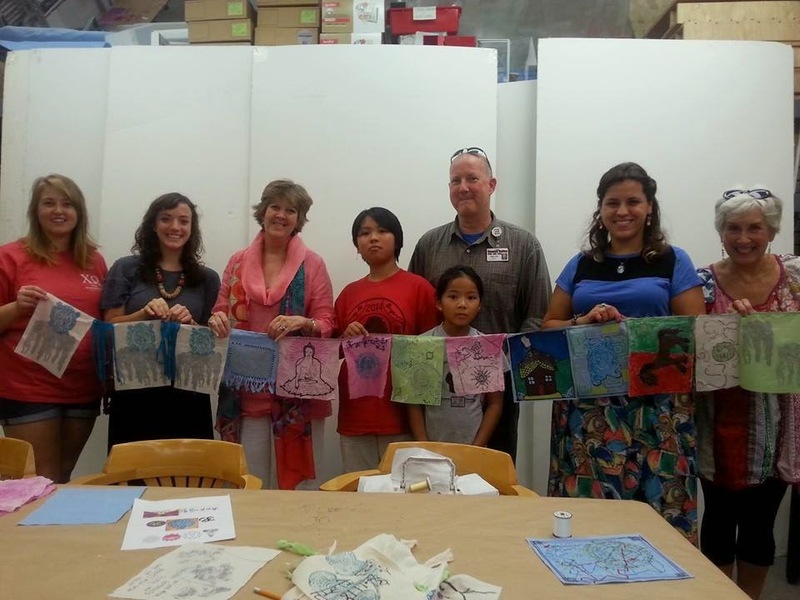 We had snacks, door prizes, and lots of art making and productive conversations. 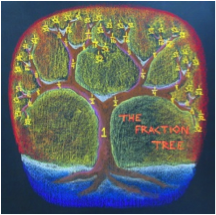 If you would like to see the lesson plan you can download one from Sargent Art here. It was also our biggest turnout for a BAEA workshop so far...we had 13 people I think and lots of new faces! The lesson began by picking out an artwork from a book or magazine and focusing in on a 3 inch by 3 inch square. Using a pre-cut template, we cut it out and mounted it to a larger board so it would be easier to keep up with the image. Then we enlarged the image onto a 6 inch by 6 inch piece of paper. 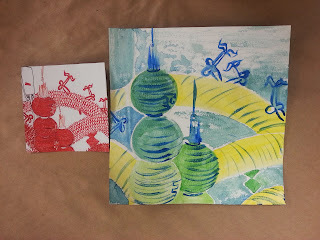 Casey encouraged us to experiment with various art media to recreate and interpret the image. 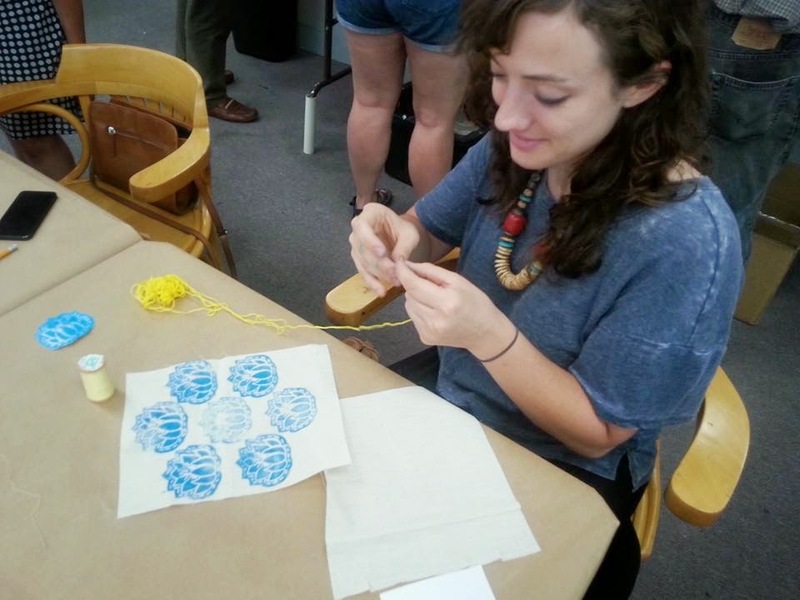 Check out some of the pictures from the workshop! 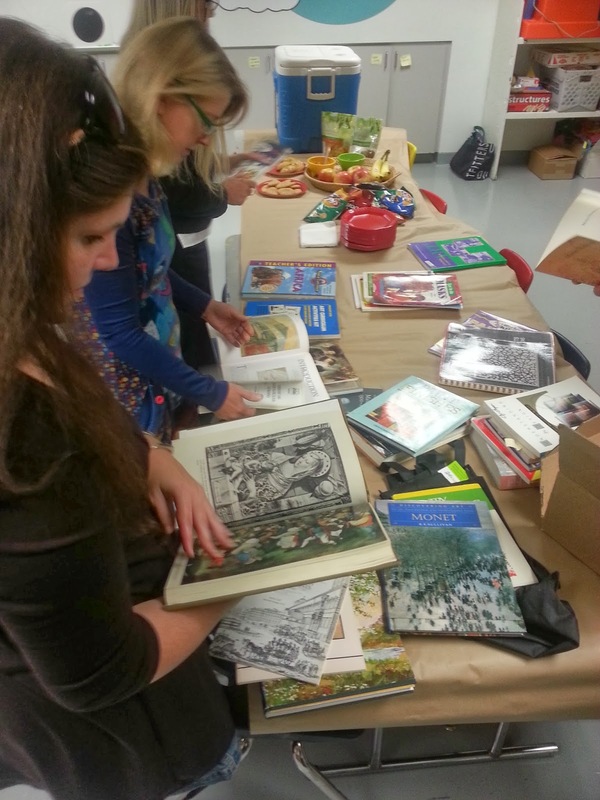 Art teachers searching through art books and magazines to find the perfect image to use in their art work interpretation/enlargement. Trent folding his 3 x 3 art image to help guide in his enlargement (grid method). Abby sketching out her image. Trent's final image. I love the abstract expressionism quality of his piece. Another completed image (on top) and original inspiration (on bottom). My completed enlargement (on left) and original (on right). Anna's original in red and her interpretation on the right. I like how she used a different color palette in her interpretation! 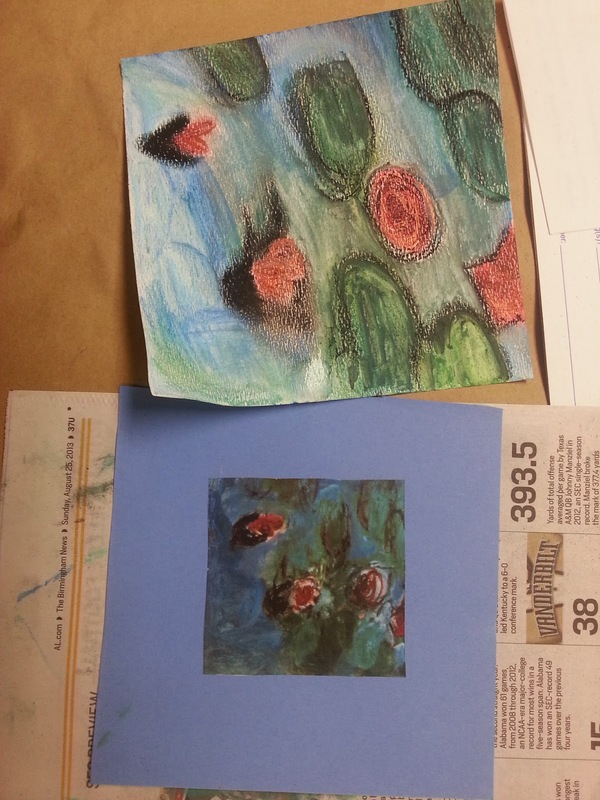 1) Have students practice using various mediums (may be done on a previous day). 3) Use the 3 x 3 template to cut out an interesting portion of the artwork (can trim index cards to create the template). 4) Mount the example on mat board or cardstock. 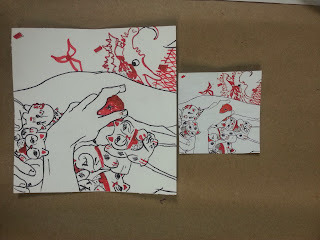 5) Sketch the artwork onto a 6 x 6 piece of paper (pay attention to proportion!). 6) Make creative decisions about what medium to use based on what the artwork looks like. 7) Choose at least 3 different mediums to use (paint, oil/chalk pastels, markers, sharpies, crayons, etc.). 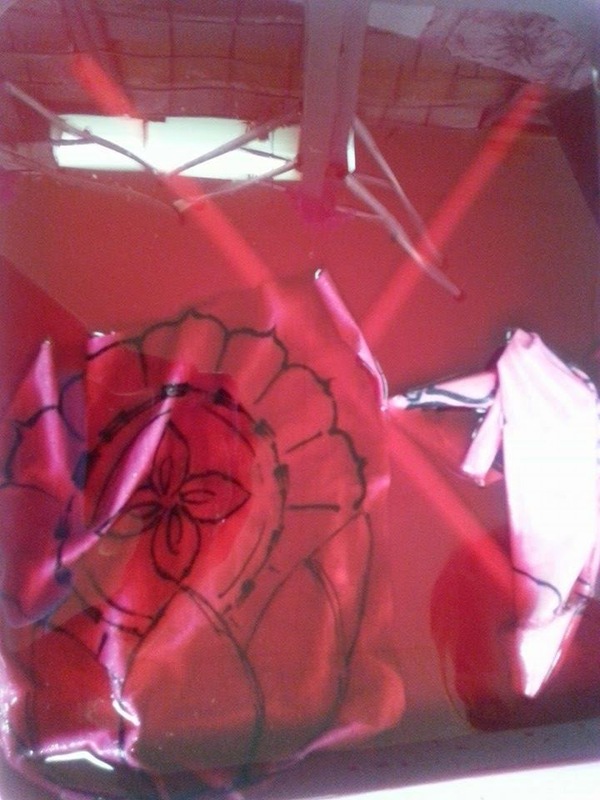 8) Create artwork (be aware of drying time). 10) Mount or mat. Enjoy your finished product! 1) Students could create a series. 2) Could give students specific artworks (based on ability level). 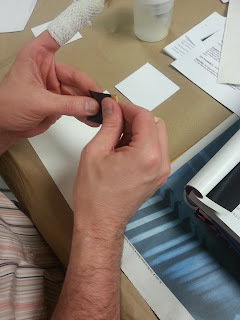 3) Teach students about mounting/matting beforehand. 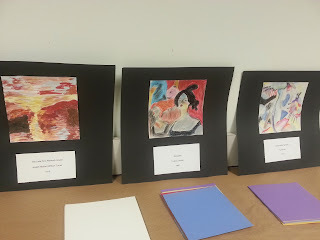 4) Have students write a paper based on the artwork/artists/style. 6) Use the grid method to ensure proper proportion. 7) Create work for entire class based on specific artists or genre. *background painting by Phyliss Horne. Picture Window theme. Powered by Blogger.